The first-half between Kerala and Telangana ended in a thrilling yet goalless draw. Though there were half dozen opportunities for Kerala, the team was not being able to convert these chances into goals. Kerala has given their best shot in the first half of the match against Telangana in the Group B of the South Zone qualifiers of Santosh Trophy football tournament at the Bharathi stadium in Neyveli here on Monday. 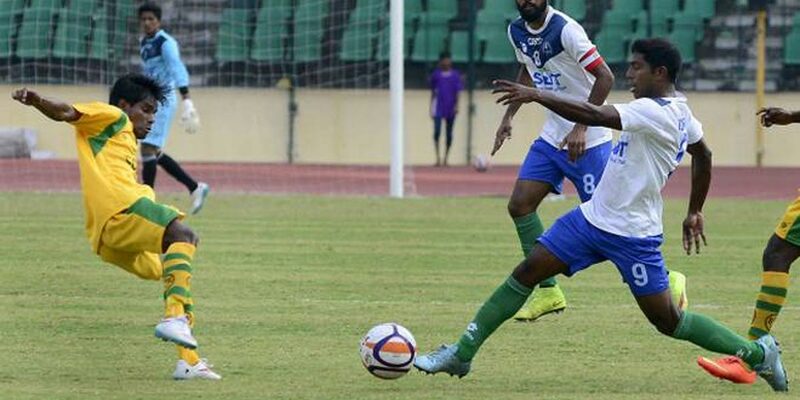 The first-half between Kerala and Telangana ended in a thrilling yet goalless draw. Though there were half dozen opportunities for Kerala, the team was not being able to convert these chances into goals. V Mithun, Rahul Raj, Season and Jithin Gopalan have secured a place in the first eleven. Rahul V Raj and Alex Saji were deployed at the central defence position. S Lijo plays at the left wing back and Muhammed Sherif is at the right wing back. Captain Season is the playmaker of the game. Gipson is at the midfield. From the left wing Muhammed Salah, Jithin Gopalan and in the forward positions Christi David and Muhammed Inayath lead the game. Besides Telangana, Kerala will face Puducherry and Services in the zonal qualifying round.